Abalone shell makes beautiful pieces of jewelry. I especially love the dramatic flash of color on my wrist to compliment my wardrobe. Abalone shell is pretty anytime, but it is especially gorgeous when it is worn with a solid color blouse or sweater that really show off the iridescent blend of color of abalone shell jewelry. 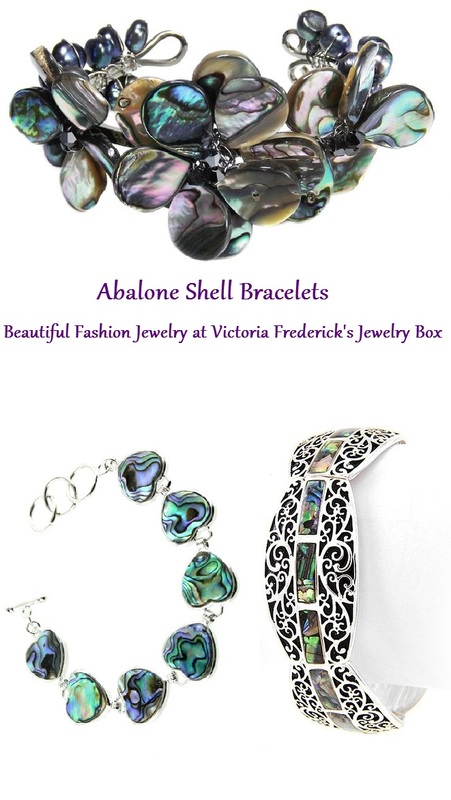 This page showcases a selection of beautiful abalone bracelets and bangles. If you are shopping for yourself or if you are looking for gift ideas for birthdays or other occasions, you will find one of these bangles will be just right. 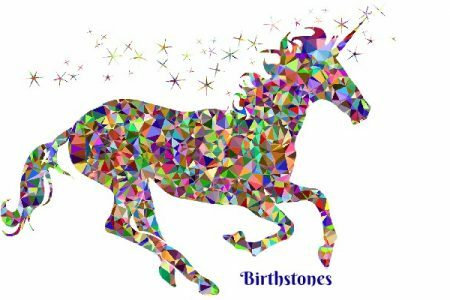 Scroll through to see the whole collection with a range of style at a range of prices. As you can easily see by these 3 examples of bracelets, Abalone shell bangles are available in many different and quite varied styles. There is truly a style and design for every fashion preference. Abalone seashell is very strong. It is naturally built up in concentric circles as the abalone mollusk matures. The colors of the shell are determined my several factors which include what the mollusk eats as well as the temperature and the strength of the water current around it. Bangle bracelets are extremely popular. In large part, that is true because they are so diverse. They can be worn alone, paired with another bracelet or watch, or worn in multiples. This would be a particularly wonderful choice to purchase in multiples because each bangle is going to look different due to the very nature of Abalone shell, but beautifully coordinate as a set of 3, 5 or more. This setting looks very much like delicate butterflies encircling your wrist. Take note of the variations in color on each butterfly wing. That is what makes this bracelet, or any abalone shell, such an exceptional piece of jewelry. No two pieces will be exactly alike and yet they each so beautifully compliment the other. 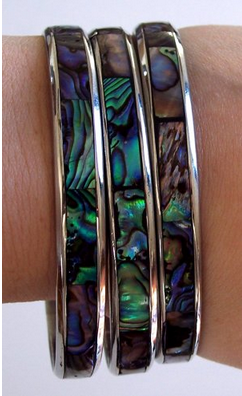 This is an attractive abalone bracelet that measures approximately 7 inches. The Abalone is set in sterling silver. This bracelet would certainly make an elegant gift for any occasion. All abalone shell is unique. This bracelet is a perfect example of how the shell develops and how the looks of the shell itself naturally vary. This is a lovely design that uses the abalone shell inlay setting to make a really pretty piece of jewelry. This bracelet is stretchable so there is no need for a clasp or hinge. One real benefit to a stretch bracelet is how easy it is to take on and off, but will not turn or catch like a cuff bracelet. However, in fairness to the cuff bracelet, a stretch bracelet will most likely not last as long. The bracelets featured above are all the colors of the ocean. They are mostly blues and greens. However, abalone shell comes in a wide variety of colors. The bracelet shown below is an excellent example of how the shell colors really are varied in shades and hues. This bracelet actually incorporates the browns and grays of abalone shell, but rest assured, that is naturally a part of Abalone seashell. You will also see white in abalone shell because the inner layer of the Abalone mollusk shell is mother of pearl. The bracelet below features alternating sections which makes a very elegant piece of jewelry. Determine Your Wrist Size: To measure, simply use a fabric measuring tape. If you do not have a fabric measuring tape, cut a piece of string that fits the wrist and lay it against a ruler or yard stick to get the proper measurement. Determine Your Bracelet Size: Add 1/4″ – 1″ to the wrist measurement to get your bracelet size. Example: If your Wrist Measurement is 6″, add up to 1″ to equal 7″ Bracelet Size. Anything more than an 1″, would slide too easily off your hand and would not be comfortable to wear, unless you were wearing the bracelet over a sweater sleeve that would hold it into place on your wrist. When purchasing a gift, we don’t want to give about away the surprise by grabbing someones wrist and measuring it. Instead, grab a bracelet that you see them wearing often, and measure it instead. Please Share this Abalone Shell Bracelets Selection!